He has agreed to step down. Prosecutor-General Viktor Shokin tendered his resignation letter to President Petro Poroshenko in the morning, a well-informed source has told LB.ua. Poroshenko earlier said that he had met Shokin in the morning and suggested that he should step down. 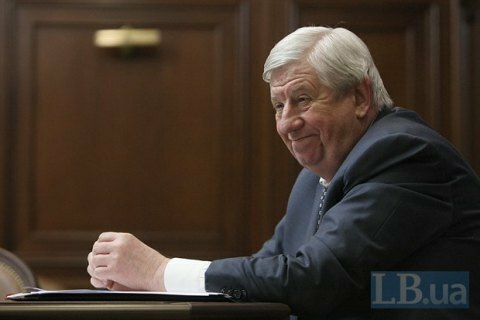 Shokin was appointed prosecutor-general on 11 February 2015 to replace Vitaliy Yarema. According to the constitution, the president appoints and dismissed the prosecutor-general on parliament's consent.